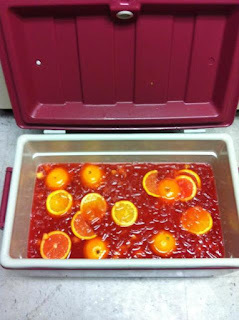 Great Cocktail Recipes: One of the CRAZIEST JUNGLE JUICE concoctions EVER!!! ! The main alcoholic drinks were Everclear (Grain alcohol = super potent), Pinnacle (French Wheat Vodka 40%), Malibu Rum to soften it (21% Rum/Coconut Liqueur), and of course to top it off the Coconut Ciroc (Snap Frost Grape Vodka 40%) which we all took shots of before I poured all of it in!!! This mix is potent and not something Philadelphia catering companies would mix up if they were working at your party. Unless you asked them of course. Hell, it's your party!! After all that was said and done, we went to the store right quick and picked up some pineapple juice, fruit punch soda, pineapple and orange fruit and some Pink Lemonade! 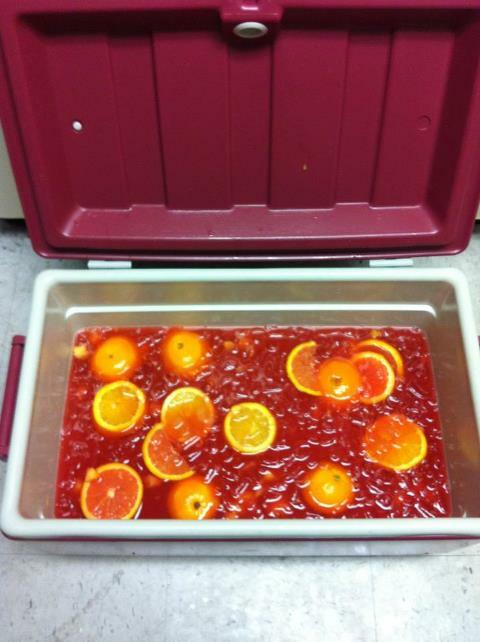 You can't have a good Jungle Juice without the juices to mask the taste of all that high powered alcohol! LOL! After that, we started to cut up the fruits to make those the first ingredient after we put in the ice and the alcohol. 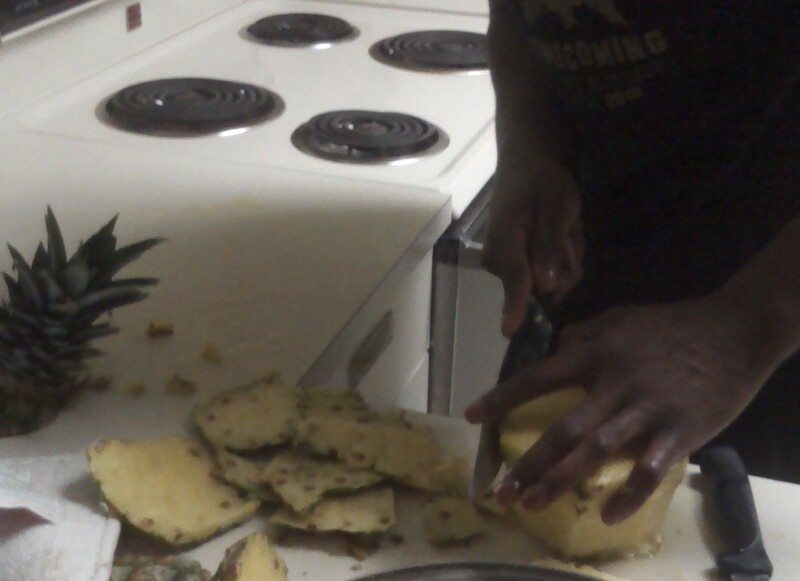 Once that was said and done, we added in all the juices and drinks and what not. Then ended up with this pretty red concoction. We are definitely doing this again!! HAHAHA! Thanks. I just wish we had more people at this little event. 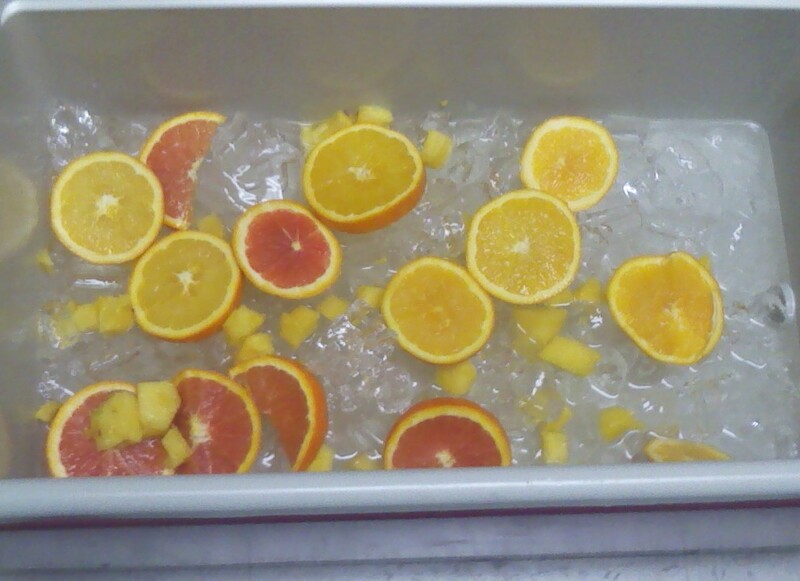 There was a lot of juice leftover. LOL. how many ppl can this serve? in a cooler size like this...at least up to 50-70 people. Do you just pour in everything in each of the bottles? Or are there measurements? Pretty much it's freestyle. However, if you want to get technical..two bottles 750ml bottle of vodka, 750 ml bottle of coconut rum, 500ml of overproof (bacardi 151 or everclear), over the ice and fruits. 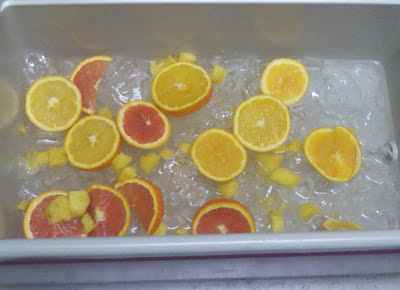 Then go ahead and get two containers of different juice. We used pink lemonade and fruit punch. Get yourself two bottles of sprite (carbonation is a must). It keeps the punch fresh and fizzy. Also, it helps keep the booze from getting watered down.